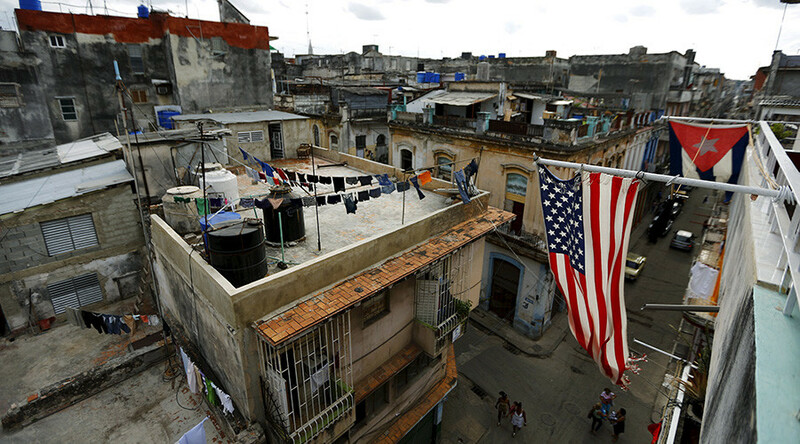 Sweeping new restrictions on American travel and trade with Cuba are set to go into effect. The new rules will implement the changes President Donald Trump announced in June, scuttling the Obama administration’s efforts to normalize relations with Havana. Reverting to Cold War-era policies, the restrictions announced Wednesday will prohibit most individual visits to Cuba, allowing US citizens to only visit the island as part of Treasury Department-licensed group tours. Americans will also be banned from staying at hotels, restaurants and other businesses that the State Department has determined are owned by or benefit Cuban officials. The restrictions, set to go into effect on Thursday, are “intended to steer economic activities away from the Cuban military, intelligence and security services,” an anonymous administration official told the Washington Post. Those who have “completed at least one travel-related transaction (such as purchasing a flight or reserving accommodations)” prior to the announcement of the new restrictions will still be able to visit Cuba, the Post reported. In December 2014, President Barack Obama said the five-decade-old US policy towards Cuba had failed, and so he began a process of normalizing relations, allowing US citizens to tour the country. Democrats have condemned Trump’s efforts to undo Obama’s thaw. Cuban exiles and Florida Republicans have hailed the decision, however. Addressing Cuban exiles in Florida in June, Trump said he would cancel Obama’s “completely one-sided deal” with Cuba and pledged to keep sanctions against Havana “until all political prisoners are free, freedom of expression and assembly are respected, all political parties are legalized, and free and internationally supervised elections are scheduled." He extended the trade embargo against the island nation in September. Later that month, mysterious stories surfaced of US diplomats in Cuba falling victim to bizarre “health attacks.” Reports have attributed hearing loss and brain injuries to the mysterious noises, with AP describing symptoms that were limited to specific rooms or parts of rooms. Cuban President Raul Castro has denied any responsibility for the diplomats’ ill health and invited the FBI to Havana to conduct their own investigation. Based on the sound files provided by AP, Cuban authorities have said the noises came from cicadas or crickets. 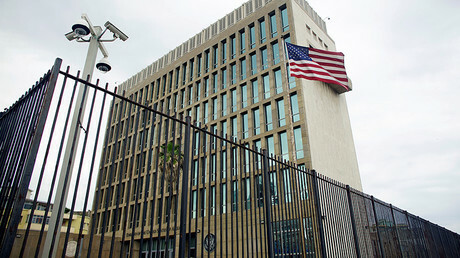 The US then ordered more than a half of its personnel working at the US Embassy in Havana to return home. The order was accompanied by a travel alert, advising its citizens against visiting Cuba.